"Rubber People". this civilization was one of the earliest groups of agricultural societies. one of the best known neolithic settlements that had a rapid development if specialized labor. It is located in South Central Anatolia or modern day Turkey. was occupied continuously from 7250- 5400 bc, when residents abandoned the site. Menes founded the city Memphis; which is near Cairo; that served as his capital and cultural as well as political center of Egypt. a time in Egypt of which the pharaohs powers were at their peak height. "Sargon of Akkad" was the creator of the Mesopotamian Empire. the best known reflective literature from Mesopotamia. the epic explored the themes of friendship, relations between humans and gods, and the meaning of life and death. these were principle vehicles for Mesopotamian reflections on moral issues. The principal instrument used by fortune tellers in ancient China. according to the Old testament of the Christian bible,The Hebrew Patriarch Abraham came from the Sumerian city of Ur and helped to establish and collect texts to form the teachings of the Hebrews. styled himself as the "King of the four quarters of the world". He improved on Sargon's administrative techniques by relying on a centralized bureaucratic rule and regular taxation and also created a code of law. the dynasty that followed the Xia. this dynasty had great advances in bronze metallurgy, horse drawn chariots and political organization. during this time Egypt had become extremely productive and prospered. An agricultural surplus created a population that neared four million people. a type of tool that was used by societies like the Bantu for warfare and craftsmanship. Founded by Siddhartha Gautama. A religion that follows The teachings of the Buddha that life is permeated with suffering caused by desire, that suffering ceases when desire ceases, and that enlightenment obtained through right conduct, wisdom, and meditation releases one from desire, suffering, and rebirth, its core values were the Four Noble Truths and the Noble Eight Fold Path. Aryan text that represented a priestly perspective on affairs as well as shed light on early Aryan society in India. the founder of Buddhism who believe that life is suffering and the only way to live a right life was to remove ones self from the outside world. he was a peaceful nonviolent man. A religion that developed in early China that stressed respect and humanity. Confucius created a very influential religion, and his strong willed morality set a precedent for his followers. Darius created one of the largest early empires through his military power, he expanded the kingdom far and made it grow to a size of 3000 kilometers. was one of the most well known scholars of Daoism and founded it as well. Plato was the apprentice of Socrates of which he documented much of Socrates' work and advanced the idea of aristocracy. A philosophical ideologist who was sentenced to death due to his radical new ideas and due to fear of having an uprising or rebellion break out. He was philosopher whom was also the apprentice of Plato. He was one of Confucius' most learned scholars. He influenced Confucian tradition, aiming to "bring peace to all". Alexander was the son of Philip of Macedon. He expanded the Persian Empire through his military dominance. Chandra Gupta founded the Gupta dynasty and also conquered and formed alliances with neighboring lands thus expanding his empire even further. this was a philosophy that helped benefit the state as a whole instead of an individual level. Ashoka was the grandson of Chandragupta and the heir to the throne. he seized control of the Kalingian empire and successfully governed it. Daoism served as an opposition to Confucianism. the followers of Daoism did not believe you could fix everything in the world. During this time Qin rulers looked to create a centralized rule and provided a large scale political organization. this dynasty was defined by a policy of centralization and imperial rule and the political responsibilities were given to the administrative bureaucracy. the Maya were a fascinating society that had over 80 large ceremonial centers in the lowlands that also had pyramids, palaces, and temples. this route was a series of paths and roads that linked parts of Asia as well as Europe through trade and the diffusion of ideas such as religion and philosophy. The nephew and heir to Julius. he change the government to a monarchy which changed rule dramatically. this is a Mayan creation myth that describes Mayan religious and cultural traditions. the Roman Empire was characterized by autocratic form of government and large territorial land holdings around the Mediterranean. used to widely spread texts, scriptures, and ideas through print in China. Means "Roman Peace". this is the period of time characterized by peace that allowed for trade between the Atlantic and Mesopotamia. The decision made by the current emperor of that time emperor Constantine to relocate Rome's capital to Constantinople. he attempted to save the Roman Empire during his rule by dividing it into separate units. The split of the Roman Empire was the split of imperial administration between East and West Rome. An African Christian kingdom that was one of the centers of the faith in Africa during this time. Constantine was one of the "last" true rulers of the roman empire; he constructed Constantinople and made it the new capitol of the roman empire and allowed for the practice of Christianity. "Holy Wisdom". a well known church that was made by Justinian and it also shows the great influence of Christianity through art work and construction. The decline of Rome due to various military, social, political, and economic problems, such as inflation and social classes. A powerful and influential empire that was in eastern Europe; it was a focal point in the transit from Europe to the Middle East. The "sleepless emperor" of the Byzantine empire. the wife of emperor Justinian who aided him during his rule. The first caliph following the death of Muhammad. A dynasty that brought all of China under control. these were state based exams that were used to place people in government positions if the passed. Islam was a religion Founded by the prophet of god (Allah) Muhammed. this religion is still around today and it continues to be popularizing and one of the worlds biggest universalizing religions. the migration of Muhammed and his followers from Mecca to Medina. the trans-Saharan trade route was one of the most well known as well as one of the greatest trade routes in ancient times. this route was able to be traversed by camel and through trade it connected multiple African cities. this type of rice increase agricultural surplus dramatically by allowing for biannual crop harvests. A series of attack by the Christians on the Muslim lands in order to obtain the Holy lands. was justified by the Christians as taking back the Holy land which they though was rightfully theirs. 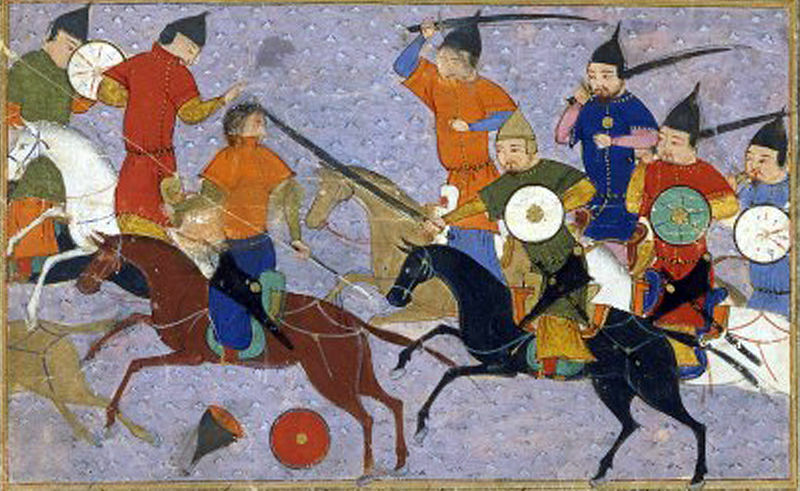 "Timur the Lame". 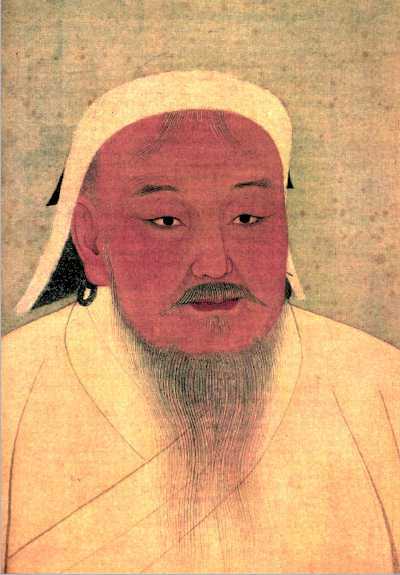 He aimed to revitalized the Mongolian empire, but he failed. He founded the Timurid dynasty. The fifth Aztec emperor and king of Teotihuacan. through his rule he expanded the Aztec land and helped them gain more power. A European explorer who sailed to the Caribbean, Venezuela, Central America, and the Antilles. lived during the Renaissance era who was a famous artist, thinker, engineer, and poet.